SendinBlue is an email and SMS marketing software that allows business owners to create custom marketing workflows and run campaigns through email and text messages. Its features include custom forms, contact segmentation, template gallery, and more. In this article, we covered user reviews and pricing. Ready to get started with SendinBlue? Sign up for a free account. 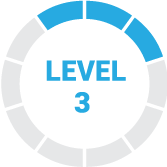 Users who gave SendinBlue a positive review said that it has an intuitive email builder platform that enables them to produce responsive designs and layout. Some of them also commended the free plan for having all the essential features needed to run an email campaign. One user who gave SendinBlue a positive review on G2 Crowd said that the marketing automation features are effective in building and implementing impactful campaigns. He also mentioned that the email and newsletter builders are easy to use, enabling him to create visually appealing email designs. Users who gave SendinBlue a negative review complained about difficulties with the onboarding process. Some of them also reported email deliverability errors. 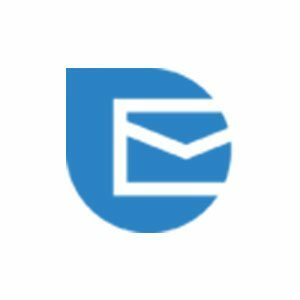 One user who gave SendinBlue a negative review on G2 Crowd said that they had issues with the rate of email deliverability, citing that some of the emails didn’t reach the intended recipients. He also mentioned that it took some time before their account got verified, causing delays in their program implementation. SendinBlue has a free option and four paid plans: Lite ($25/month), Essential ($39/month), Premium (ranges from $66-$173/month), and Enterprise (custom priced). The main differences between the plans include the number of emails and access to advanced features such as send time optimization, landing page builder, unlimited automation workflows, and more. Interested users can add a dedicated IP for $145/year. SendinBlue also offers consumable SMS credits. Prices vary per location. Ready to get started with SendinBlue? Sign up for a free account. Can SendinBlue simplify the process of creating newsletter designs? Yes. 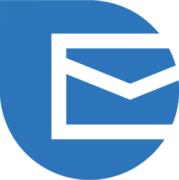 SendinBlue enables users to create their own newsletters by simply dragging and dropping various design blocks straight into their emails. Users can customize their designs by choosing from the template gallery that contains text blocks, images, and clickable buttons. How can SendinBlue’s heat map feature help improve email marketing strategies? SendinBlue’s heat map feature provides a visual representation of which areas in the email generates the most clicks. By knowing where the interactions happen, users can optimize their newsletters by removing ineffective parts of the content. Not sure if SendinBlue is the right fit for you? Read our reviews of all top email marketing software or check out one of these three SendinBlue competitors. 1) SendInBlue allows me to send more emails per month than any other email marketing company out there and it’s at a lower cost. 2) I especially like how their pricing tier is based off the amount of emails sent rather than how many emails you have in your database. 3) Last thing I really like is how simple it is to create and send great looking emails. Before I switched to send in blue I had to use html but now I just drag and drop until I have a great looking email. When setting up a new account the account verification process could be streamlined a bit. When I signed up 6 months ago it took about 7 hours to get my account verified. After my account was verified I haven’t had any issues and enjoy using them for my marketing camaigns. Not much. Their service is straightforward and easy to use. SendinBlue Customer Service are very knowledgeable and helpful, even if you use the free section of their software. It really fills the need our church has for a way to send scheduled emails to our church members! I wish I had known about them long before I did, so I could have been using them sooner! Sendinblue is a great company, I love your pre-loaded templates that make your life easier because you can create newsletter quickly and easily, another thing that I love is that all emails arrive in the inbox or the promotions , there is no message bounced, sendinblue has a very intuitive platform so it is very easy to use, another great thing about this company are its plans that have a low cost, but the best is its free plan because it provides us with 40 mil emails a month totally free, also offers SMS and an incredible and detailed statistics template of your messages what makes sendinblue the provider of emails par excellence, I definitely recommend it! I should have known that it is very easy to use because it is very intuitive, it is friendly with new users, they have great support and customer service and their templates are amazing and work perfectly. SendinBlue offers email products that fit our church very well. I can schedule email messages to be sent at specific times ahead of time and they are always sent on time! I can create automatic responses, as well! I can use text, pictures, clipart, etc., in my emails and they all work great! I can create templates for email formats that I use often, also! I have not found anything they do not do well yet. I wish I had known about this company a long time ago! It has a very adjustable price to the budget of any company regardless of its size, it has great capacity of email addresses and its use is very effective even if it is very intuitive. The functions of the test email are very limited, and also its speed is not the most exemplary. The software is not very complete, but it is useful for small companies. It is a very reliable software, when I enter data I do not have to worry about my clients seeing it or if any of them are given confidential information. If it were faster and more efficient, it would be the perfect software.